New Ninja 250SL WSB Edition is styled like a race-winning Kawasaki Superbike with custom graphics and special features such as distinctive green wheel rim tapes. 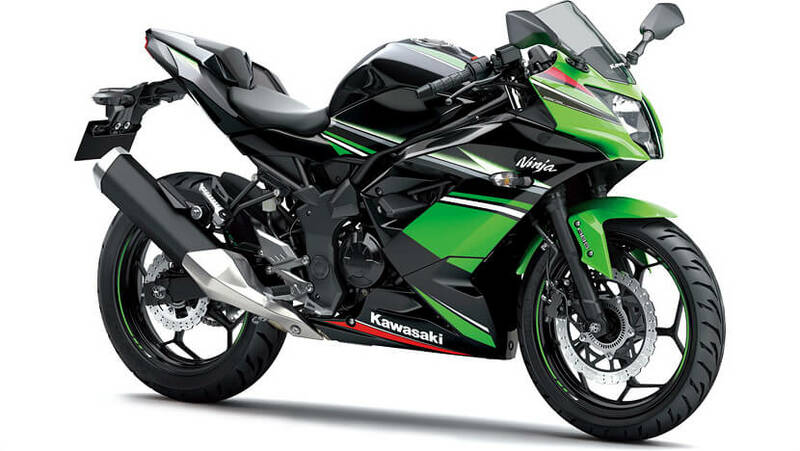 Kawasaki’s newest entry into the 250cc full-fairing sport arena is the Ninja 250SL. 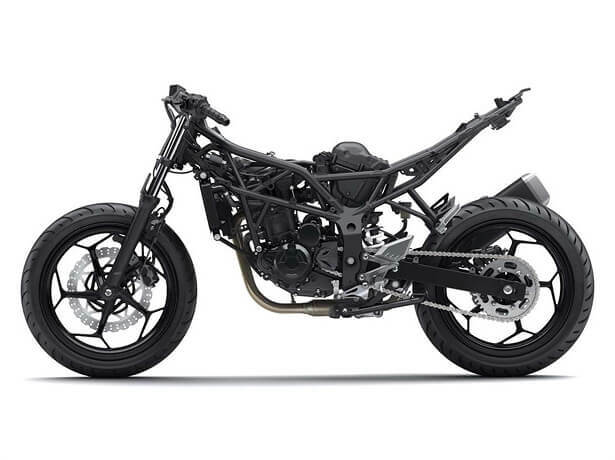 Powered by a 4-stroke Single mounted in an original trellis frame, the newest Ninja offers sporty performance in a slim, lightweight and compact package. With competitive performance, quick, nimble handling, and aggressive ergonomics, it is a lighter, racier alternative to the Ninja 250. 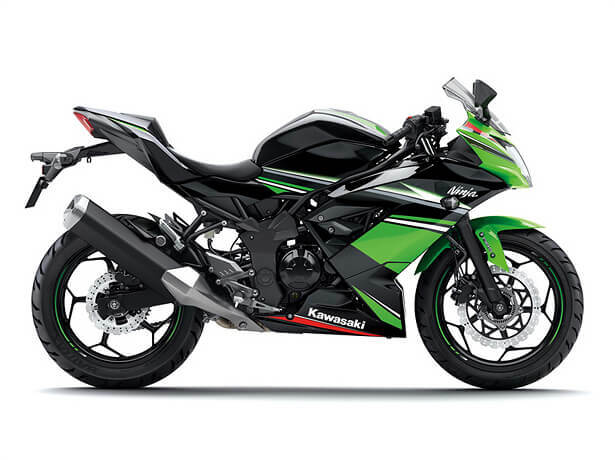 The Ninja 250SL’s 4-stroke single-cylinder engine offers sporty performance in a slim, lightweight and compact package. It delivers a robust mid-range, and its quick-revving character allows the engine to spin up quickly to the high-rpm range, where the engine really sings. The top end delivers strong power and extends well into the over-rev without dropping off suddenly. On the Ninja 250SL, every twist of the throttle produces a satisfying surge of acceleration that propels the bike and rider forward. 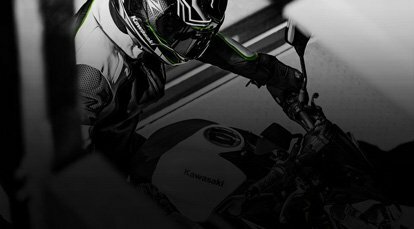 Kawasaki’s liquid-cooled, DOHC, 4-valve Single delivers smooth, responsive power at low and medium rpm and hard-hitting power at high rpm. 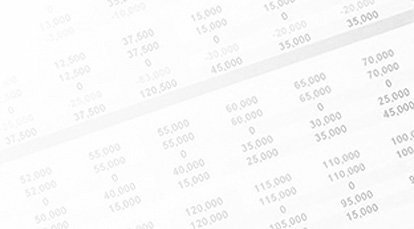 Maximum power is 20.6 kW (28 PS). 4-valve DOHC cylinder head provides maximum valve area for optimum flow. Low reciprocating weight (thanks to the use of a cam lobe for each valve with shim- under tappet arrangement) contributes to higher efficiency at high rpm. 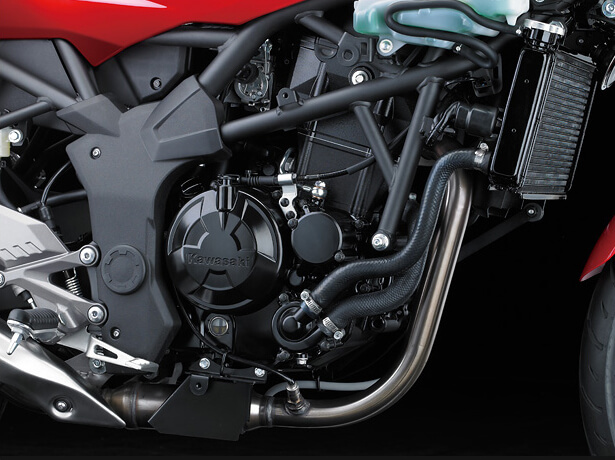 Compact air cleaner design contributes to the bike’s slim package. 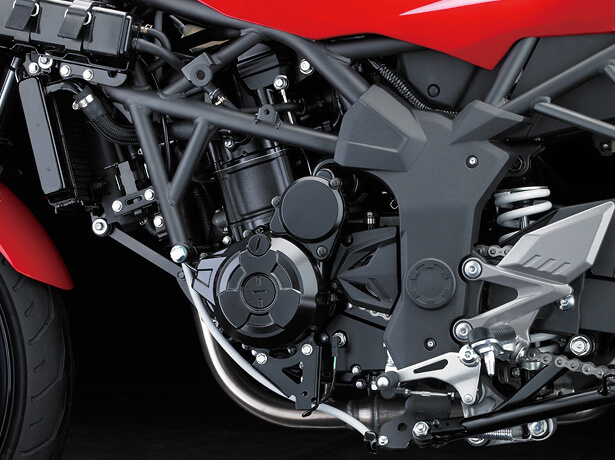 The air cleaner structure was designed with consideration to optimising airflow and adding to the bike’s sporty performance. Intake funnel length and diameter enhance the 4-stroke characteristics: ultra low-rpm tenacity (which facilitates to low-rpm control), strong low-mid range torque and pick up, and a high-revving top end. 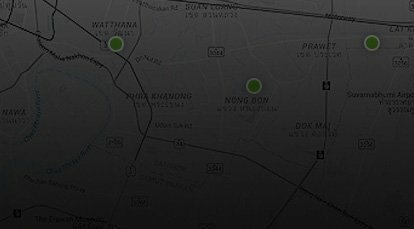 Innovative Kawasaki technology like the patented radiator fan cover located behind the radiator directs hot air down and away from the rider, significantly increasing comfort when stuck in heavy traffic. Redirecting the air also helps keep the tank, frame and other parts that contact the rider cooler, further increasing rider comfort.